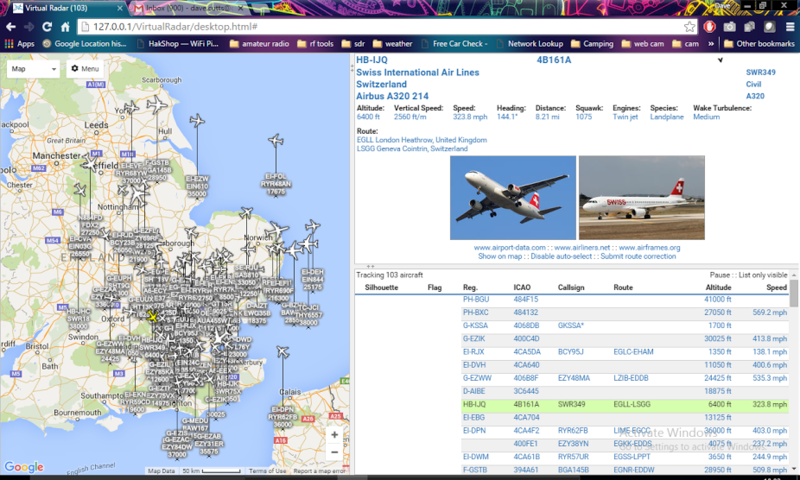 ADS-B Reception using 5/8 wave 1090 MHz aerial. I recently purchased a 5/8 wave antenna for 1090 ADS-B Reception from eBay. 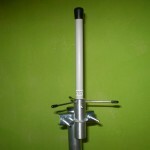 At the time the antenna are being sold by stranislavpalo130 in 2 versions from a 30cm 5/8 wave to 60cm 2x 5/8. The are priced between 20 to 25 pounds and are really well constructed. The 30 cm 5/8 wave version is shown here, and comes complete with waterproof raydome and radials. 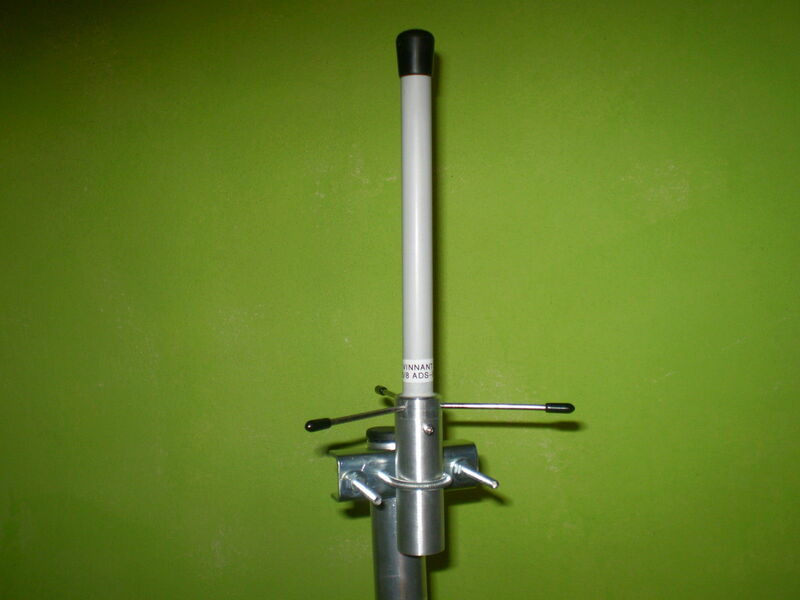 The mounting bracket will take a standard small pole, although the antenna is so light its never going to present much of a load. I mounted mine for this test on a 12 m spiderbeam roach pole, and if its not too windy it can easily be mounted near the top. 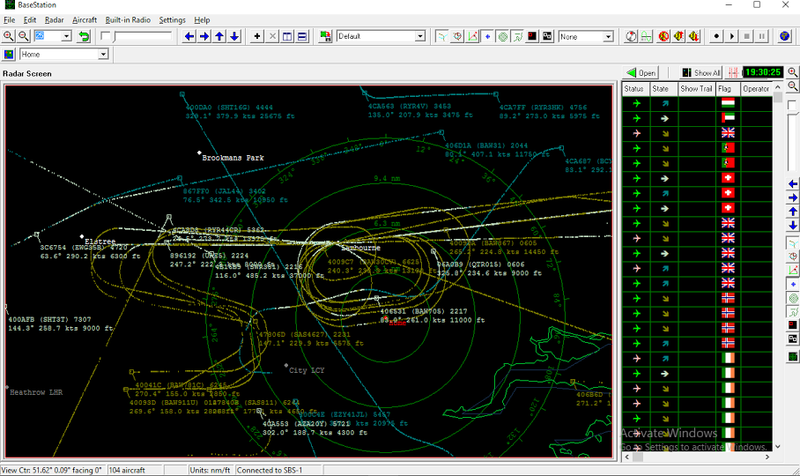 I this time configured virtual radar to work with the Kinetic SBS-1. You can download the manual for the SBS-1 or visit their website for more information on their product range. If you havent see or used virtual radar I would suggest you review the setup information described earlier. I compared the 5/8 wave with my home brew co-linear and the 5/8 wave won ! To be fair the co-linear I built was never vswr tested or even checked for a 50 OHM match as I have nothing that operated on that frequency. The home brew antenna worked out to a range of around 60 to 80 miles, the 5/8 is 80 to 100. The number of aircraft tracked (I know this varies by time / day) seemed to increased from 80 to over 100. The indications are the 5/8 wave represents an increase in range and number of aircraft received at anyone time.